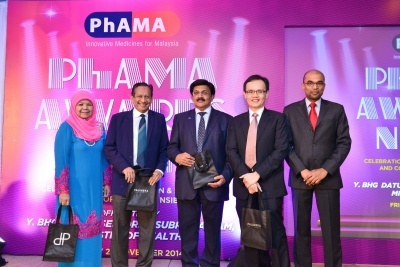 Kuala Lumpur, 28th November 2014 - The Pharmaceutical Association of Malaysia (PhAMA) announced the winners of its inaugural PhAMA Awards 2014 held recently at Kuala Lumpur Golf & Country Club. 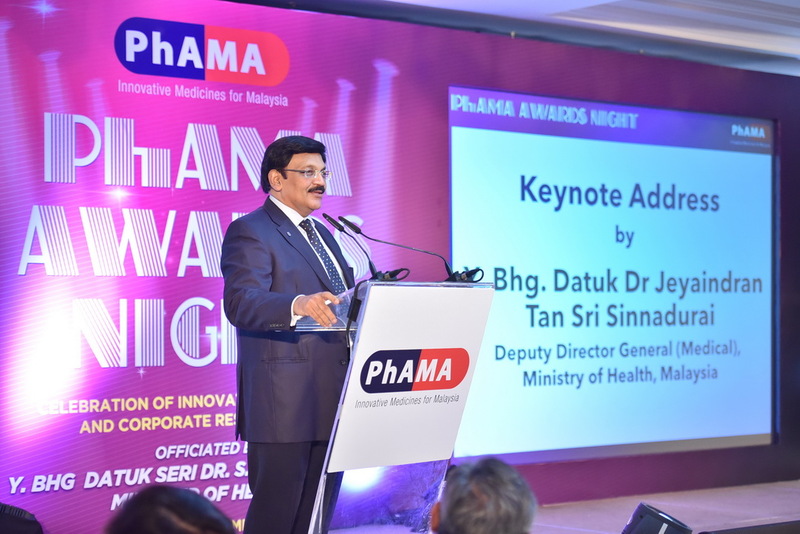 Launched in August this year, the Awards recognises excellence in innovation and research amongst individuals or teams who have contributed towards enhancing the standards of healthcare in Malaysia. The Awards’ Night was attended by Deputy Director-General of Health (Medical) YBhg. Datuk Dr. Jeyaindran Tan Sri Sinnadurai who delivered the Minister’s keynote address. More than 360 industry-leading figures, PhAMA members, healthcare practitioners and representatives from healthcare societies were present to celebrate the up and coming talents of Malaysia’s growing healthcare sector. “We were pleased to receive submissions covering a broad area of the pharmaceutical industry. 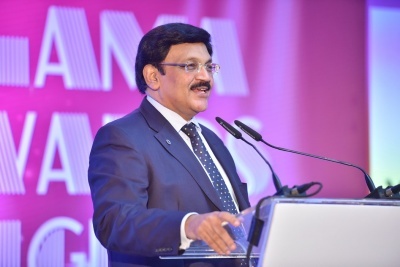 Certainly, their collective efforts indicate that we have some of the right ingredients in place - a budding talent pool that will continue to pursue ideas and nurture collaborations that could lead to new discoveries in the future. 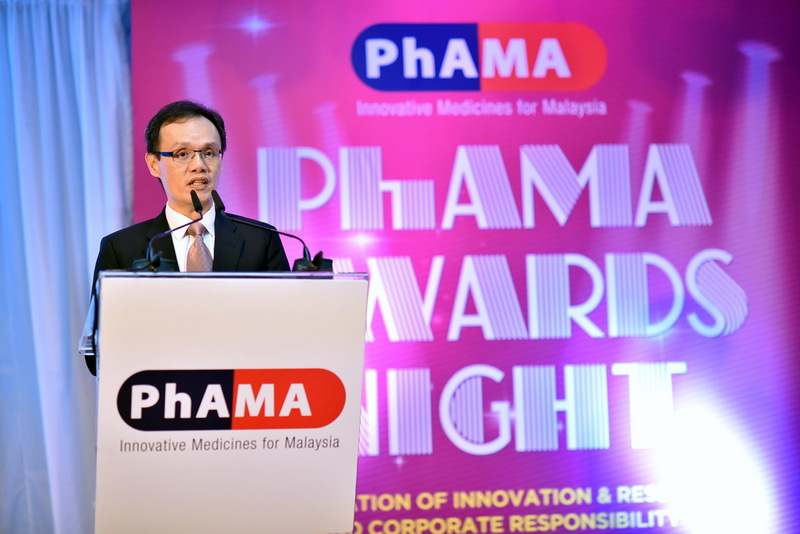 Next year, we hope to increase the number of categories as we believe that there’s a great deal of work being done by students, researchers, academia, healthcare professionals and even members of the public,” said Mr Yew Wei Tarng, President of PhAMA. 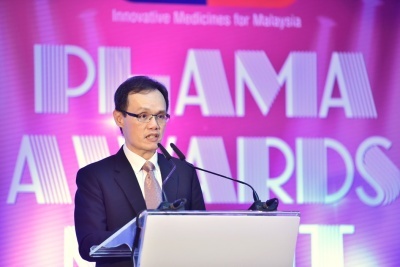 "We would like to take this opportunity to congratulate this year’s winners, whose inspiring work is a testament to the on-going changes within the industry,” added YBhg Datuk Dr Jeyaindran Tan Sri Sinnadurai, Deputy Director General of Health, Ministry of Health. The PhAMA Awards 2014 comprise of two primary awards, the Minister of Health Innovation & Research Award and the PhAMA President’s Community Impact & Awareness Award. The Minister of Health Innovation & Research Award celebrates innovation and research that contributes significantly towards the standards of care in Malaysia. 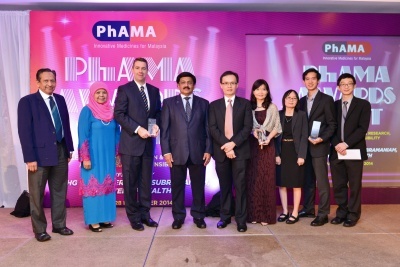 Meanwhile, the PhAMA President’s Community Impact & Awareness Award recognises impactful initiatives that improves an aspect of community health, wellbeing, awareness or standards of care within Malaysia. A joint project titled ‘The Decision Making in Insulin Therapy’ by University of Malaya, University Putra Malaysia and Ministry of Health emerged as the overall winner for the Ministry of Health Innovation & Research Award, walking away with the grand prize of RM12, 000. “We are very happy and honoured to be recognised as the winner for this inaugural PhAMA Award. 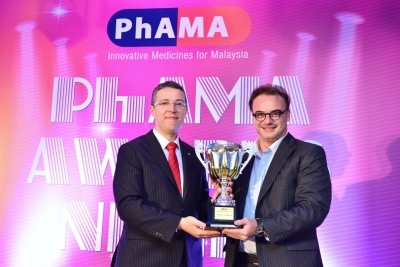 We’re accepting this award on behalf of all our colleagues who have helped us achieve this momentous feat,” said Prof Dr Ng Chirk Jenn who collected the grand prize for the Ministry of Health Innovation & Research Award. 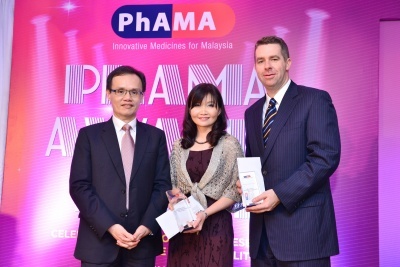 For the PhAMA President’s Community Impact & Awareness Award, the grand prize worth RM8,000 went to University of Nottingham Malaysia and first runner-up went to Pfizer Malaysia. Taking home the PhAMA President’s Community Impact & Awareness Award for their project titled ‘Water4Life’, grand prize winner, Dr Ting Kang Nee said, “We are pleasantly surprised by this win. Our team includes a large number of students from the University as well as members from Engineers without Borders (Malaysia) and Saccess. Our project is funded by the University of Nottingham’s Cascade Grant, local sponsors and donors. The PhAMA Awards is a great platform for budding researchers like us to showcase our capabilities in community outreach and social responsibility. This award is an acknowledgement by the industry leaders of our work - a powerful force that will drive us to further deepen as well as broaden our knowledge exchange between the academia, community and industry. The first ever PhAMA Awards’ highly respected panel of judges comprised of Deputy Director-General of Health (Medical) YBhg. 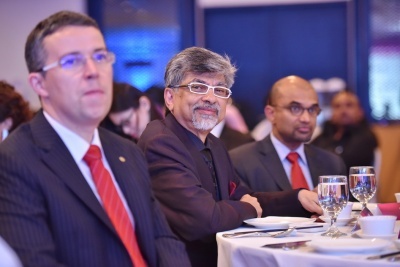 Datuk Dr. Jeyaindran Tan Sri Sinnadurai; YBhg Dato’ Eisah Bt. 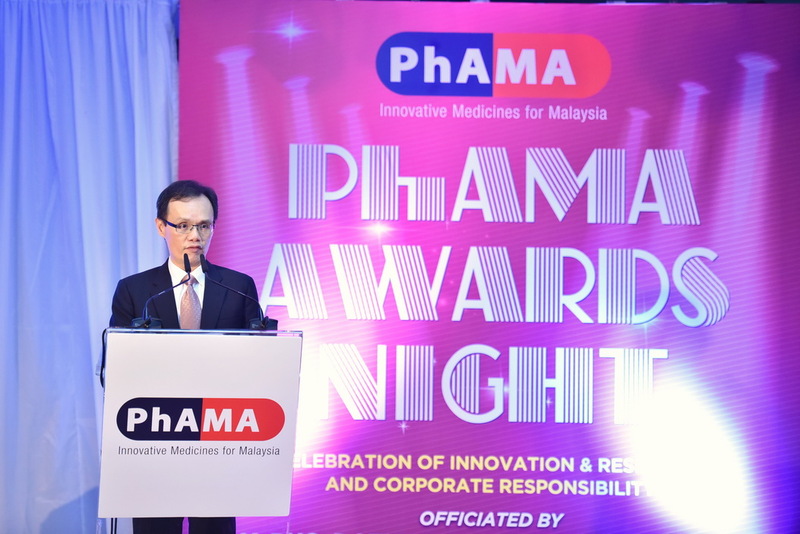 A. Rahman, Senior Director of Pharmacy Services, Ministry of Health; Encik Amrahi Buang, Chief Pharmacist from University Malaya Medical Centre and the Deputy President of Malaysian Pharmaceutical Society and Mr Yew Wei Tarng, President of PhAMA.